Emergency Alert Tower out front of the Student Center. Shootings are occurring all over America in schools, workplaces, and public areas. As a result, people are becoming immune to the idea of a shooting happening almost every week. The Marjory Stoneman Douglas High School shooting on Valentines Day ended the lives of 17 students and staff members and injured 17 others. Since the mass shooting, multiple encounters of continued shootings occured. The most recent shooting near the Frederick area occurred in a Rite Aid distribution center in Aberdeen, killing three people and injuring three others. At Frederick Community College, campus security is making improvements to ensure safety all over the campus. The newest addition for campus security is a camera system, allowing for close monitoring of anything suspicious that may occur. 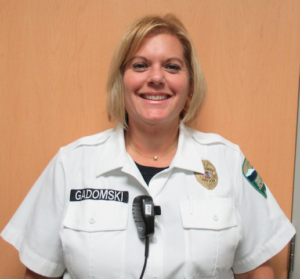 Jacqueline Gadomski-Gibbons has been a security officer at FCC for 15 years. She and her fellow security officers work to keep the campus safe. Whether monitoring unattended bags left behind or students with hoods up and heads pointing down, the security closely monitors everything they can for safety. The campus security at FCC handles peace orders, has routine parking lot and campus patrol for anything suspicious or threatening, and gives late night escorts to cars if someone feels unsafe. 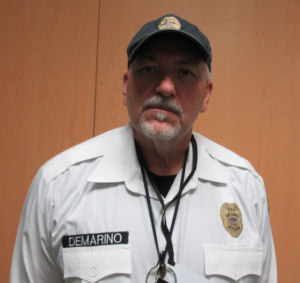 Joe Demarino, now in his second year as a campus security officer, works alongside other security to keep the college itself safe. Campus security makes sure all exit signs, emergency areas, and safety lights are always working. Emergency Medical Services is also able to arrive on the campus in less than five minutes, should anything medical-related arise. 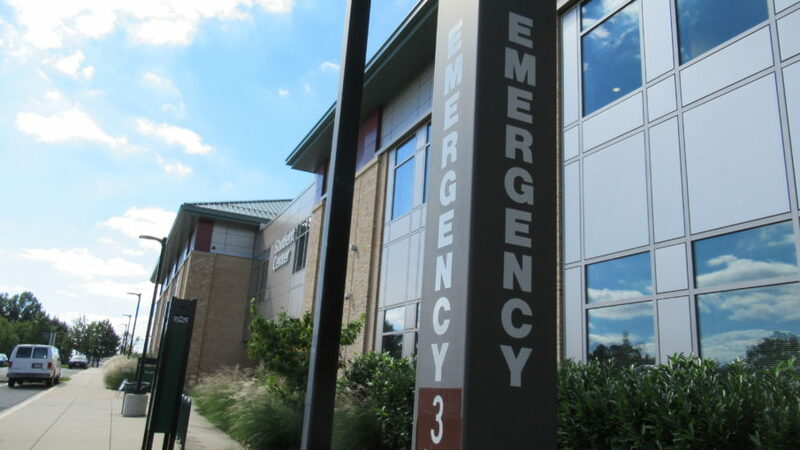 “We deal with any incident involving injuries, accidents, and behavioral referrals,” Demarino said. During the daytime, the campus security staffs four full-time officers and an intern, while three officers are staffed at night. Gadomski-Gibbons and Demarino agreed that the school safety video shown to students on the first day of class is one of the most important steps in keeping the campus safe. Campus security is considering allowing some officers to carry a concealed weapon as an extra layer of safety, Gadomski-Gibbons said. Full-time officers with experience as a deputy sheriff or police officer would be eligible. Gadomski-Gibbons added that early talk has began to bring back 24 hour campus security. As of now, campus security is active Sunday-Thursday, 7am-11pm.